There were some memorable moments in one of the most controversial major championships of all time. 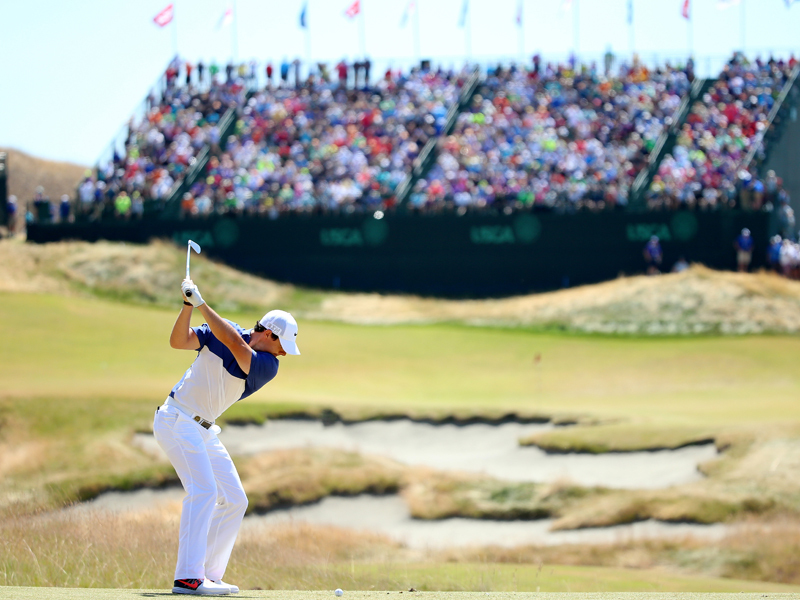 This year’s US Open promised drama and didn’t disappoint. 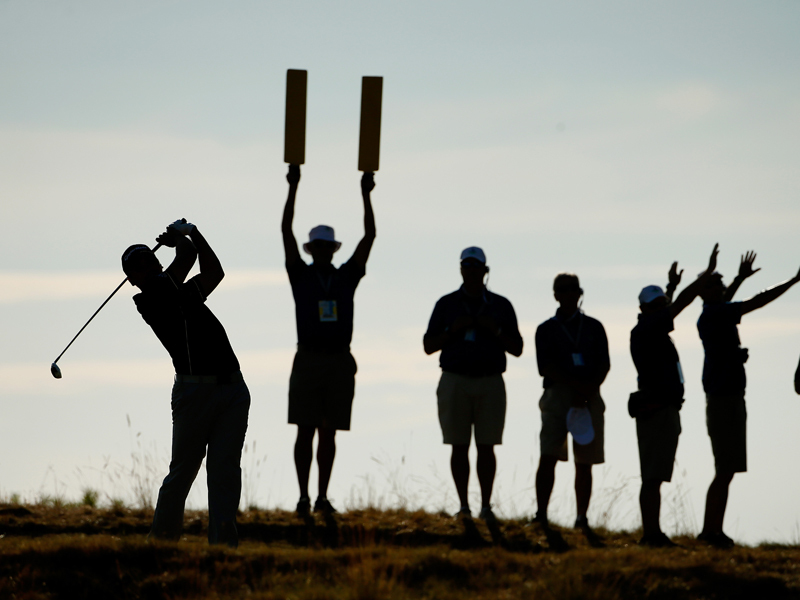 Dissatisfied players, a 21-year-old winner and a heroic overcoming of vertigo were just some of the key plot points at Chambers Bay. While players toiled to little avail on the debatable standard of the greens, Jordan Spieth won his second consecutive major before his 22nd birthday. We talk about metaphorical collapses in sport, but Jason Day was physically laid low by vertigo in the second round. He finished in a respectable T9 finish with a 280 to Spieth’s 275. So, let’s take a look at some of the best action over the course of the four days. 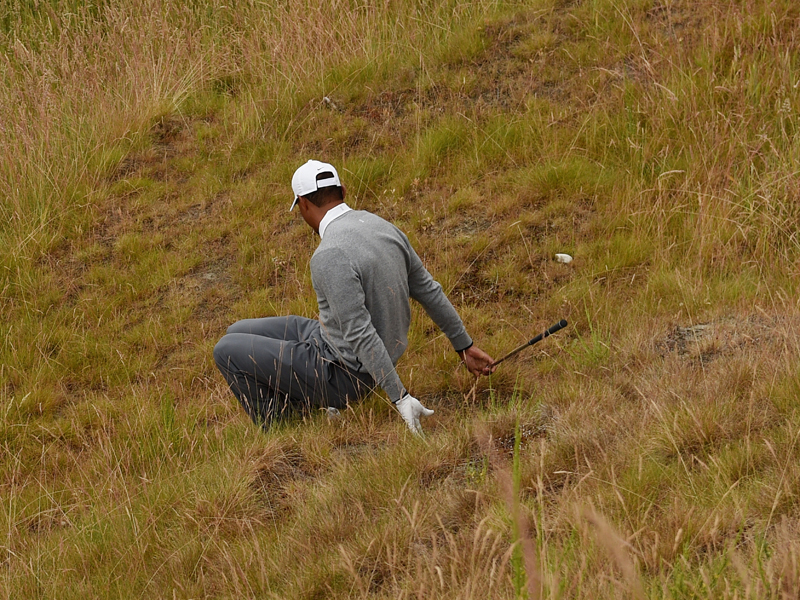 Tiger Woods endured a troublesome second round, with this slip while weighing up a shot in the rough compounding his misery. The golfing Gods were not smiling on the former no. 1. 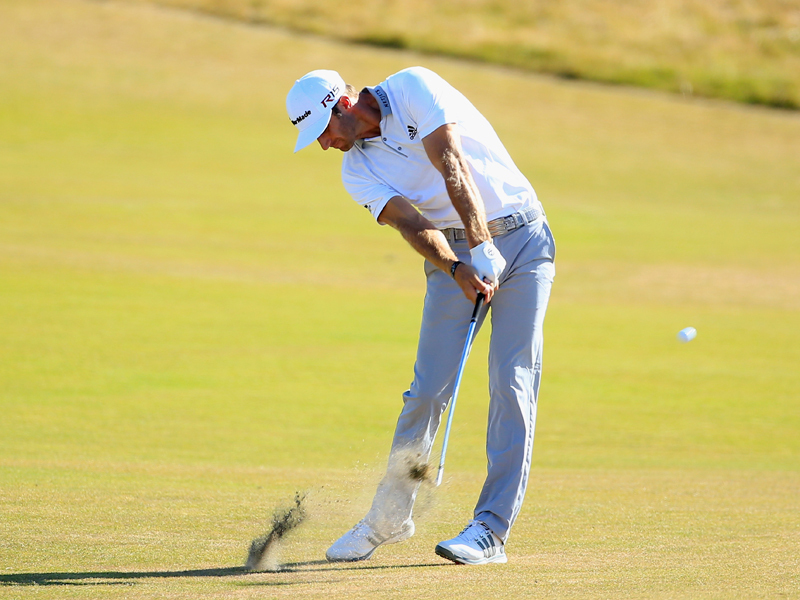 You couldn’t have blamed Dustin Johnson for doing this to the course after he three-putted on the final hole. Instead this is a shot of him on the fairway before it all went wrong. Jason Day’s caddie said a movie would be made about his second round. This picture has a cinematic air about it. Movie poster perhaps? 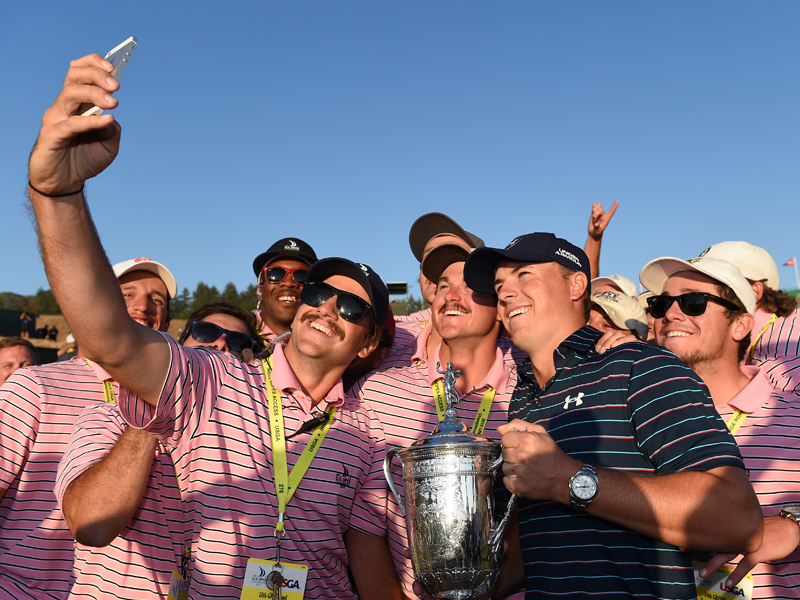 Chambers Bay became selfie central on Sunday after Spieth lifted his first US Open title. 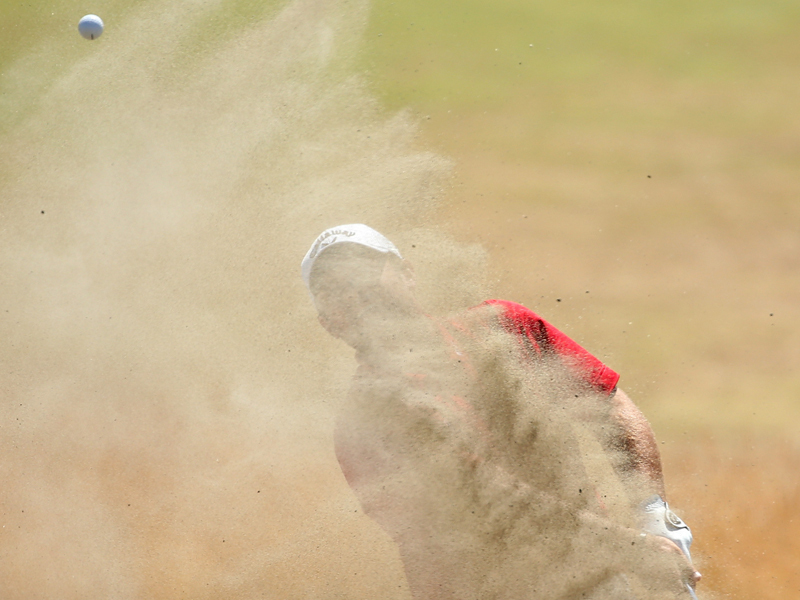 Darren Clarke makes the most of the weather during his second round. Patrick Reed was in contention for his first major heading into the final round, but finished seven shots behind Spieth. 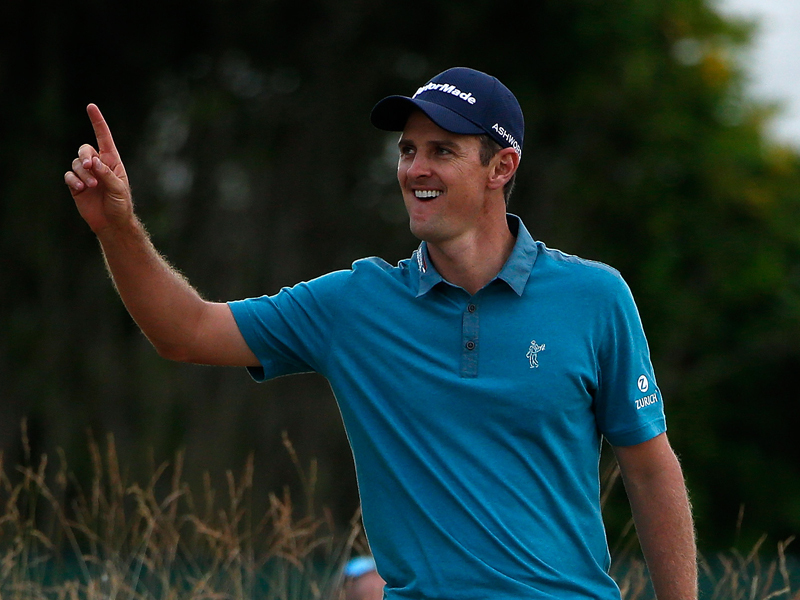 Justin Rose had a rare moment of joy during the opening round after recording four bogeys. 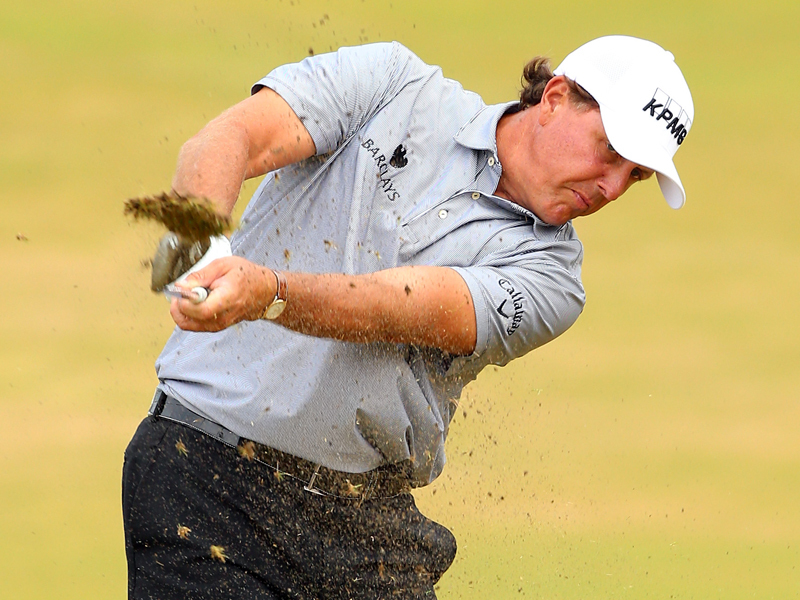 Phil Mickelson’s hopes of winning the career Grand Slam were looking good after the first round, but he slipped to a T64 final position. Rory McIlroy lined up one of the best swings in the game as he surged up the leaderboard during the final round.